At least 72 Rwandan nationals that including 11 children, 20 women and 41 men were on Monday arrested in Uganda over illegal entry without travel documents. Rukiga RDC Mr Emmy Ngabirano alongside police and other security personnel impounded the two buses at Muhanga town council where all the Rwandan nationals that had no travel documents were escorted and deported back to their country through Katuna border town. Some of the arrested Rwanda nationals told the security officials that they were going to for causal jobs in different districts of western Uganda. 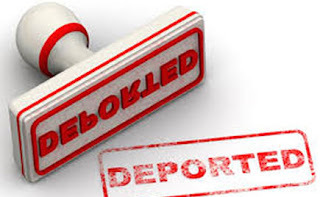 Mr Ngabirano warned foreigners against entering Uganda without possessing travel documents saying that they will be arrested and deported back to their home countries because it’s an offence. He advised transporters to always avoid transporting foreigners that do not have travel documents to avoid being inconvenienced. Minister James Kabarebe on Wednesday 20/06/2018 while addressing RPF’s youth wing – Intore who were undergoing political awareness training in Nyagatare that started on 17th/06/18 and ended on 23/06/18 told the youths that neighbours Burundi, DR Congo and Uganda don’t wish anything good for Rwanda, instead these countries are always jealous of Rwanda because of its progress and how its population are living in peace and continuously developing.